Those pickles seem random, but I'd eat them. The pickles are not random in Central Texas, nor are the onions. 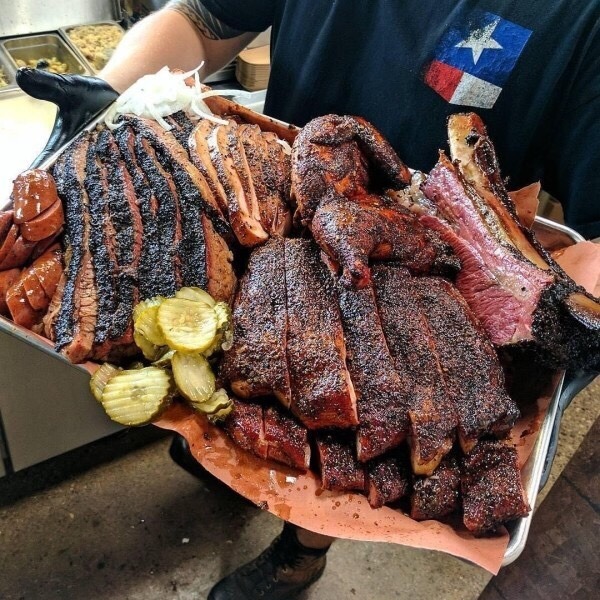 Is that a whole BBQed squirrel at the top center of the stack ?